A number of people trying to maintain good health and also exploring to buy a health insurance policy to cover their health risks find existing health insurance policies in the country confusing and expensive. Moreover, an even larger chunk of people do not trust the healthcare ecosystem, which includes hospitals, insurance companies as well as diagnostic centres. These are the findings of a study, GOQii India Fit Report 2019, by preventive healthcare and fitness platform GOQii. The findings are based on responses from 700,000 users of the company’s fitness app (see graph). Insurance experts also feel that existing health insurance policies are complicated and need simplification. Mahavir Chopra, director, health, life and travel insurance, Coverfox.com, said that while being told about health insurance, typically, you will first be explained about the exclusions and what you will not get. “You will go to exclusions in a health insurance very soon in a conversation, and that makes it difficult. I can explain a term insurance or a car insurance to you in a minute, which is not possible for health insurance,” he said. Hence, a lot of people depend upon health policies offered by their employers or government schemes. As per the latest annual report by the Insurance Regulatory and Development Authority of India (Irdai), in 2017-18, general and health insurance companies issued around 1.47 crore health insurance policies covering a total of 48.20 crore lives and registered a growth of 10% in the number of lives covered over the previous year. However, 75% of these insured people are under some government scheme and another 19% are under group health insurance, that is typically provided by employers. Only around 6% of policyholders are covered under individual policies as on 2017-18, down from 13% in 2013-14. 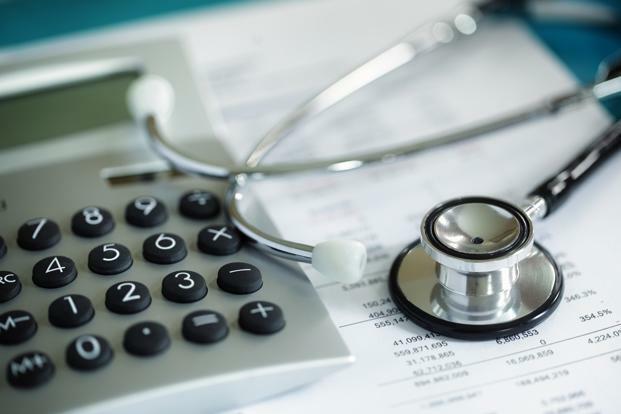 An actuary from a general insurance company, who is not authorised to speak to the media, said on the condition of anonymity that this trend is due to increasing sales of health policies through bancassurance and affinity partnerships. The sales through these channels are large number but get reported to the insurance regulator as a group sale, hence the group business sales appear larger, the official said. The study also recorded rise in lifestyle diseases among those surveyed. The number of people suffering from high cholesterol and blood pressure has gone up compared to the previous year, while the number of diabetics has marginally declined. However, people below the age of 45 years suffering from lifestyle diseases has gone up sharply. Compared to 5.2% of people under 45 who reported to have high cholesterol, 2018 saw 12.1% people having the problem. Similarly, the number of people under age 45 reporting diabetes,blood pressure and thyroid problems also went up in 2018, compared to 2017. The survey also highlights that 35% of Indians suffer from acidity-related concerns and doctors are actively prescribing lifestyle improvements like nutrition, exercise and sleep. While experts agree that complexity of health insurance products and exclusions are a hindrance to adoption, the real picture on claims often gets missed. Chopra said that about 95% of health insurance claims do get paid. “Health insurance also suffers from a lot of bad reputation, though it might not be that bad. The claims that do not get paid get more word of mouth publicity and attention,” he said. The survey highlights that claim settlement ratios of insurance companies is something that plays a deciding role in a person’s decision to buy a policy. Moreover, according to the GOQii survey, the biggest reason among consumers to not buy health insurance is the product being confusing. Close to a third of the respondents (32.5%) said they find health insuranceconfusing and that they would like to have an insurance with simpler terms and conditions. Moreover, as health insurance companies have many plans, it becomes difficult for a retail consumer to understand which one to buy.